Before working with Marshall Walker | The LinkedIn Tutors, Sable Group, a Central London financial, immigration, and legal firm had no idea that LinkedIn could be its most efficient and effective tool for sourcing new business. Previously they had a time-consuming, hit and miss approach to online business development that involved trawling Google for leads. Since completing their training with Marshall Walker they are now using LinkedIn as a powerful business development tool with a targeted strategy that is attracting and bringing in new clients. 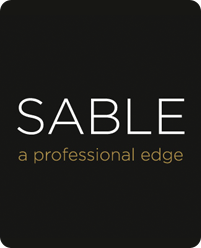 The team at Sable Group quickly realised the value of their training and how they could use LinkedIn to attract new clients. They have since been implementing the techniques they learned to great effect and are targeting and getting to potential clients quickly and successfully. Within a few months they have gotten many new leads and new clients and see LinkedIn as an indispensable tool for growing their business. We chose to work with Emily because she’s not just another social media trainer, she understands the ultimate goal is to bring in the business because she comes from a business development and professional services background. We are delighted with the training she gave us, have brought in new business as a result and would definitely recommend her and will work with her again.